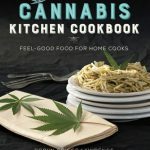 As cannabis legalization spreads and goes mainstream in Oregon and other states, the cookbook industry has churned into high gear with books on ways to use jazz cabbage beyond the bong. A lot depends on your level of expertise — not just in the kitchen but with cannabis itself. If you’ve been making batches of pot brownies and want to expand your repertoire to, say, French macarons, there are cookbooks to help you out. 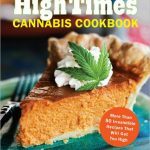 Many books have lengthy introductions that outline the specifics of cooking with cannabis, so find one that fits with what you know — or don’t know. 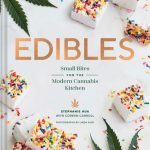 “Edibles” is a just-published, user-friendly cookbook in a few notable ways: There is a lengthy and well-defined introductory section that discusses dosage, potency, effects, terminology and techniques. The 30 recipes that follow are purposefully low-dose (5 milligrams per serving), which is very helpful for beginning cooks, as well as those with a potentially problematic sweet tooth (Stephanie Hua is a confectioner at a marshmallow company; she and Coreen Carroll met at culinary school in San Francisco). The recipes are also a lot more appealing than those in many cannabis cookbooks, which can tend to run a little toward dorm food. Hua and Carroll instead give well-written recipes for cardamom caramels, gruyère and green garlic gougères, strawberry jam Pavlovas and roasted grape crostini. The blueberry lemon French macarons are a serious improvement on pot brownies. Andrea Drummer is a Los Angeles-based culinary school grad and private chef specializing in cannabis cooking. Maybe because of her culinary training, the book is short on the science of cooking with cannabis and long on recipes, including some fun ones such as kimchi fried rice, escargot in puff pastry and hot chocolate with pot-infused cream. 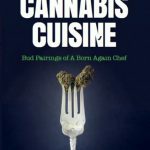 This is both good and bad, as the recipes for infused stock, pasta dough and mayonnaise are comforting for home cooks, but the book doesn’t give much information about how to work with or use cannabis. (There’s also no index, which is frustrating.) 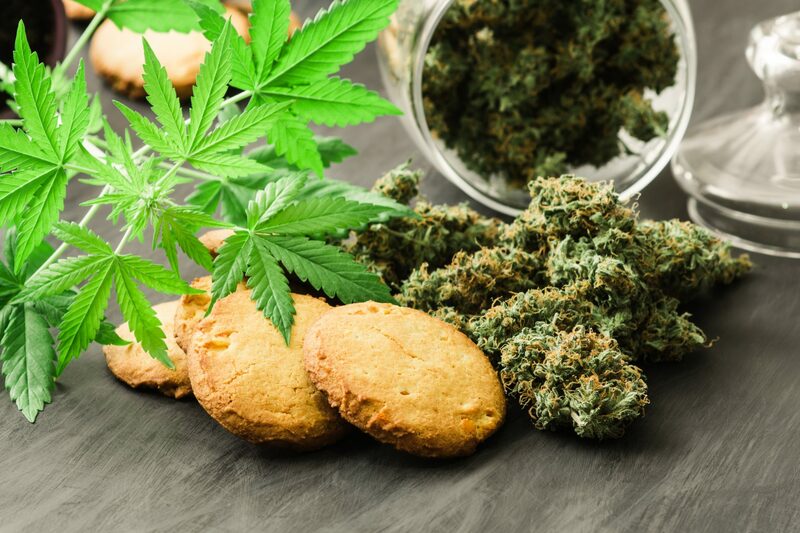 Although Drummer gives bud pairings, as if she’s talking about a good Cabernet, decarboxylation isn’t even mentioned; recipes simply call for grams of “cannabis product.” This assumes a lot, and unless you’re already versed in this kind of cooking, you’ll need an outside reference to use this one properly. This book, based on the Munchies and Viceland television series “Bong Appétit,” was published in October by Ten Speed Press. (This is in itself notable, as Ten Speed is one of the best cookbook publishers around.) The book has a comprehensive introduction that includes topics such as dosing, techniques, methods of decarboxylation and infusion, cannabis pairing tips, questions to ask your dispensary, tips on equipment and more. The recipes are sourced from the Munchies test kitchen and from many well-known chefs, whose recipes are recalibrated to add cannabis. Thus: Korean fried chicken from Deuki Hong of San Francisco’s Sunday Bird; fried soft-shell crab with shishito pepper mole from Daniela Soto-Innes of Cosme and Atla; and Joan Nathan’s preserved lemons. This 6-year-old cookbook is from High Times magazine, the pot-championing publication founded in 1974. 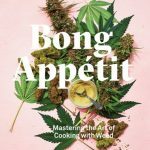 The book collects recipes from various sources (cooks who’ve contributed to the magazine, a “dude from Texas”) and begins with a workmanlike introduction that covers some of the basics of working with and consuming cannabis. But those basics are minimal; strains of cannabis, relative potency and issues of temperature and decarboxylation aren’t covered. Dosing in the recipes is also vague: a recipe, for example, says it “stones 4,” and there’s no mention of how many milligrams are in the servings. The recipes are fun, and hardly technically difficult: the chocolate layer cake calls for Betty Crocker cake mix and frosting. If the Munchies book is for hipster stoners, this one is for people who’ve been listening to their Cheech and Chong records on vinyl since the last time it was cool. Published in 2015 by a Colorado writer and photographer, this cookbook collects recipes from a dozen chefs and one bartender who specialize in cannabis-infused food. 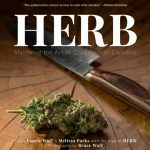 Before the recipes, there’s a 100-plus-page section that provides biographies of the chefs and discusses aspects of buying, identifying and cooking with cannabis, covering cooking cultivars, infusions and extractions, plus dosing tips. There’s a longer section on how to make the oils, butters and tinctures than in many books; it also includes recipes for infused milk, cream, honey and simple syrup, which makes the recipes that follow succinct. The dosage per serving is clearly stated, and the recipe headnotes often include nicely geeky bits, such as how mangoes are reputed to heighten the effects of cannabis because they’re high (ha-ha) in myrcene molecules. Thus a recipe for rice pudding with green cardamom, mango and pistachios. This 3-year-old cookbook from two classically trained chefs — the pair have degrees from the Culinary Institute of America, Le Cordon Bleu and Johnson and Wales between them — is one of the better books about cannabis cooking. It’s both pragmatic and culinary-minded, and avoids the stoner language that can obfuscate the prose of the genre. The concise “cannabis 101” intro section concludes with very good recipes for canna-oil, canna-butter and compound butters made with it, including a rémoulade canna-butter — a great and nicely cheffy touch. The recipes (grilled steak with chimichurri sauce, Thai shrimp salad), focus on well-sourced ingredients, and give techniques for components in such a way that you could easily use the book for non-pot cooking. I’d switch out the canna-butter for regular butter and make the triple-chocolate espresso cookies on a regular rotation, and the matcha sugar cookies too.